Distracted driving is a serious problem. 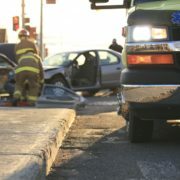 According to TeenSafe.com, distracted driving is responsible for 25 percent of all traffic fatalities. Many states have taken measures to prevent these types of car accidents. 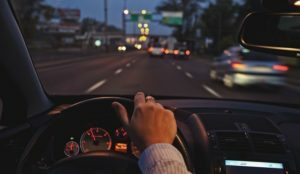 A law in Georgia called the “Hands-Free Georgia Act” simply makes it quite clear – you really do have to have your hands—both hands—behind the wheel while driving at all times. Or the police can issue you a ticket. This law essentially penalizes motorists from not just talking or texting on a phone, but simply holding it with one hand. This applies to other electronic devices as well, while driving. It seems the law has made an impact. Since the law went into effect on July 1 of 2018, law enforcement issued a total of 8,389 citations. More than 2,000 of them came in December alone. It’s pretty clear: people need to put their phones down while driving, because Georgia police are taking the matter very seriously. 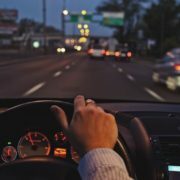 The behaviors of drivers are interesting given the new development flourishing from the Hands-Free Georgia Act. There was a time when drivers didn’t bother hiding their phones the moment they were pulled over. This was largely due to the fact that it wasn’t a “legal issue,” but a potentially dangerous one. After all, if you were holding onto your phone and just got yourself into an accident, that would be cause to hide your phone if you were at fault. That’s not always the case, of course, and not many drivers bother thinking about hiding their digital devices. Now that we’re facing this new law, more and more drivers are repeatedly hiding their phones even if it’s something as simple as not fully stopping at a sign at a side street. Legally, a police officer can report a citation on you without even doing anything specifically wrong on the road. The only thing wrong you did? You were holding onto your phone. 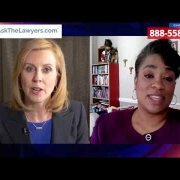 Will This Law Prevent Car Accidents? Potentially. The question to ask is, are people getting sneakier about having those phones in their hands without being noticed through the windshield or side windows? Perhaps. More or less, some are just putting the digital devices down and playing it safe. At the very least, many are opting for Bluetooth connection either through the earpiece of the dashboard of the vehicle. What about you? Have you evolved in terms of your driving, distracted or not? Do you notice a change on the road with other drivers? If you know someone involved in an accident and you suspect distracted driving was a factor, contact an attorney. He or she can investigate to find out if the driver was texting at the time of the accident. 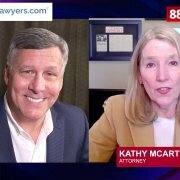 Infrastructure and Roadway Injury: Could Your Accident be the Government's Fault?